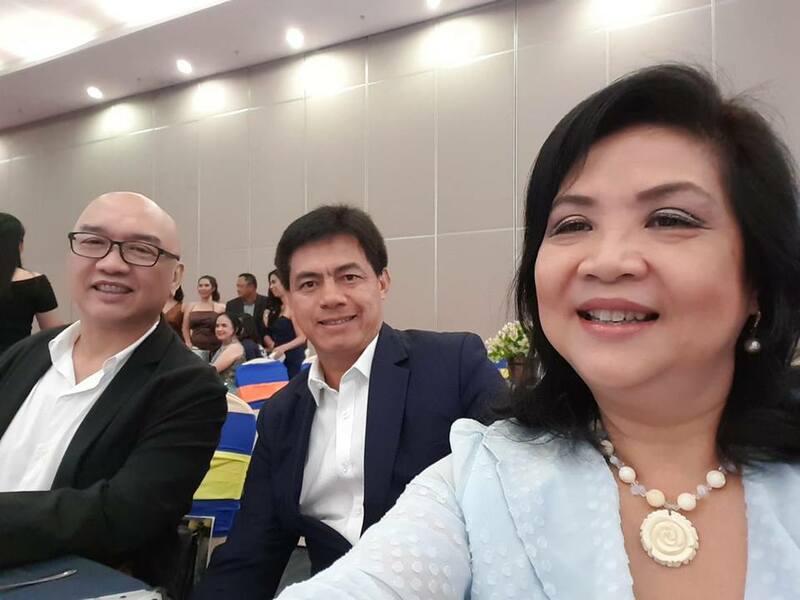 Suntrust Properties, Megaworld Corporation’s wholly owned subsidiary, held its 2018 Annual Awards & 2019 Sales Kick Off last March 15, 2019, at the SMX Convention Center of SM Lanang Premier. 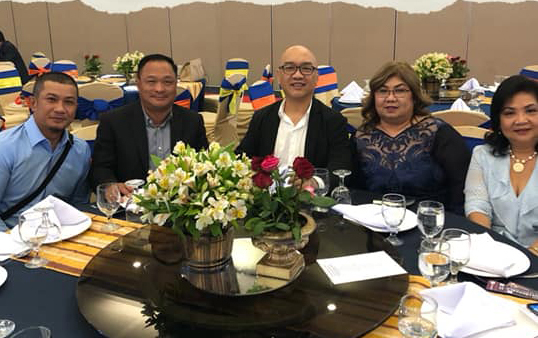 In attendance after a two-year absence was Suntrust Properties, Inc. President, lawyer Harrison “Harry” M. Paltongan, along with the highly energized Suntrust FVP Jerry R. Rubis and the ever busy Suntrust AVP for Regional Operations, Engr. Leonora P. Gutierrez. 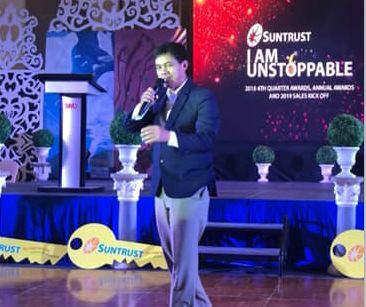 After more than an hour of delay, the excited and well-dressed Suntrustees (Suntrust real estate agents) settled down to start the evening’s program with the prayer and the National Anthem sang flawlessly by music maestro Bong Aviola’s Musikademy’s M6 Teens. Engr. Leonora P. Gutierrez then welcomed everybody with a short message. 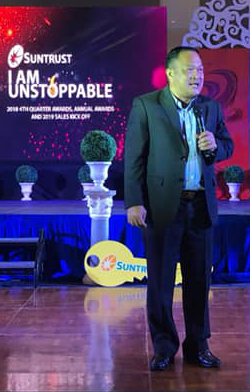 Surprisingly, I was called next to give a short message as representative of the Dakudao & Sons, Inc.
Admirably, VP Jerry R. Rubis gave a heartfelt and dramatic speech to salute the Suntrustees. “You don’t have to leave the country to earn a living. 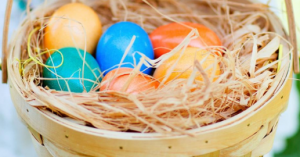 Being a Suntrustee enables you to become millionaires and ably provide for your family. A lot of you here is proof of this hard work,” he told everybody. This former seminarian could really talk with such articulateness and entertain like a pro. He could easily give our politicians a run for their positions. FVP Jerry could sing as well to deliver his message to the hearts and minds of his listeners. Why, this guy could even sell with such pizzazz a rotten tomato. “No gathering is ever complete without the inspiring messages from our beloved President Harry and FVP Jerry. With all the inspiration and guidance they give, who would ever think of stopping. Saying ‘Thank you’ may be such a simple gesture to express our gratitude but it’s the only way by which we could express our sincere appreciation for all the opportunities given to our Regional Suntrustees and personnel. Thank you, Atty. Harry,” commented Engr. Leonora P. Gutierrez. After a Chippens-catered dinner that special night, Atty. Harry and FVP Jerry offered a toast to the realization of Suntrust’s 2019 Targets. Special Awards were also given to the achieving Suntrustees and the Male & Female Stars of the Night. Naturally, some lucky Suntrustees went home happy with their brand new car and raffle prizes. 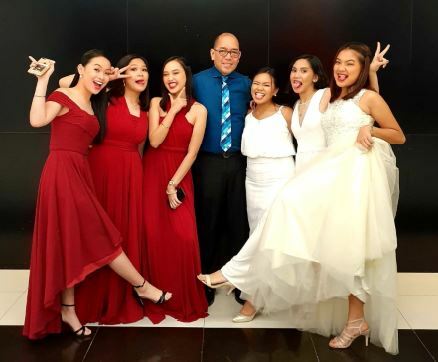 Indeed, it was a big night for the Suntrustees of Davao. And I am grateful to have been invited to be a part of the joyous celebration.